Let's face it, legacy inventory management systems lack the functionality required to keep inventory levels balanced. Businesses are either left with too much inventory or not enough to meet customer demand. 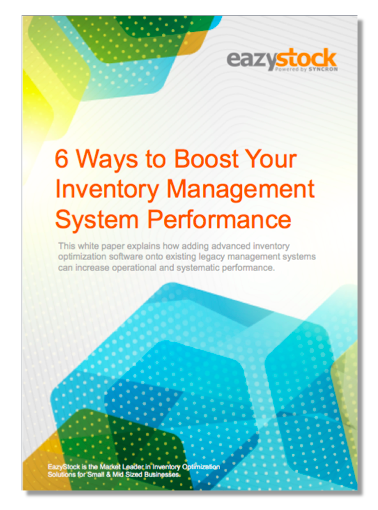 Download the white paper 6 Ways to Boost Your Inventory Management System Performance to learn how adding advanced inventory optimization software onto your existing legacy management systems can increase operational and systematic performance.